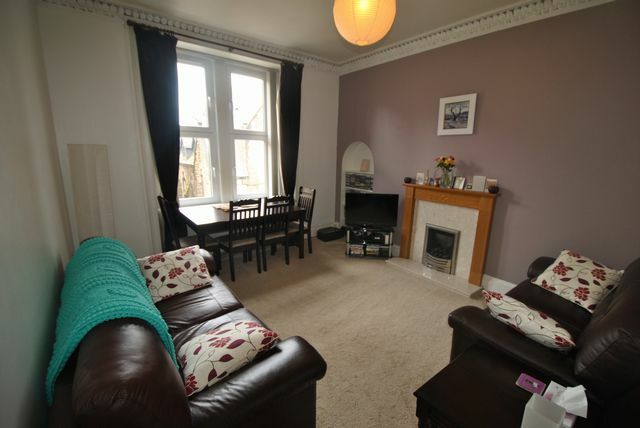 Beautiful 2 bedroom traditional tenement flat in great location, just up from Haymarket Tram and Train station - minutes to heart of the city Centre. The property consists of a large open hallway with all rooms off. There is a fantastic, well proportioned lounge, well furnished and complimented with neutral décor and floorings. There is a gas fire to further enhance the room. There are 2 large bedrooms, equally well furnished and laid out. The master bedroom has built in cupboards and good quality wooden bedroom furniture and the second bedroom is wonderfully bright and fresh. There is a contemporary kitchen, with all necessary appliances, situated to the back of the building with a pleasant outlook. The bathroom has a white bathroom suite and electric shower with a separate toilet room. Furthermore the property benefits from double glazing, GCH and permit parking. Awaiting Landlord Registration. 403193/230/11051 EPC Rate C. Professionals only! I appreciate your assistance with this matter and am impressed at the efficiency of your team. I have been floored by the professionalism and responsiveness of your staff.